I have a brand new visitor to my blog today, the lovely Rebecca Hall. Not only is Rebecca a travel writer, she has also written a novel about her adventures in Greece. I lived in Greece for a while, teaching English. Now I divide my time between this beautiful country and the UK. At the time (about 2010), Greece was going through a lot of negative press (and still is, to a certain degree). It made me angry because what was being represented was not the Greece I knew, and not a true representation of the people I knew. It insulted me to hear my adopted countrymen being accused of being lazy, insolent and the root of all the problems in the E.U. And so I set about writing, in novel format, my experiences of the Greece and her people. I wanted to make it humorous and bring the characters to life, for people to see another side to Greece…one very much absent from the press. Absolutely! Girl Gone Greek is ‘faction’ really (fact in fiction format) and is based on my first year living in a remote Greek village as an EFL teacher. The head of the school, the other teachers and the protagonist’s best friend all have character traits of people I’ve met, interacted with and developed friendships and relationships with. Kaliopi, the best friend, was certainly modeled on my best Greek friend. And the real Kaliopi doesn’t mind at all. She actually thanked me for highlighting elements of her character and psyche she never realized existed! (I hurriedly told her it was fiction so an element of poetic license was involved, but she seemed pleased nonetheless). Much of Girl Gone Greek was taken from my own personal experiences. I also included historical references to Greece’s past, especially about the (only quite recent) dictatorship in the 1970’s, a couple of references to specific events in Athens during World War II and recent events during the current troubled economic times. For recent events, I was in Greece myself so I could ask my Greek friends to help me understand. The specific Dictatorship and World War II references are common knowledge to all Greeks, young and old so first hand accounts were quite easy to come by, luckily. I was lucky to be able to get primary research. Definitely the latter – just go with the flow. I am not a ‘rigid’ person generally and find following strict guidelines and rules in general in life very restricting (hence why I love the semi-chaos of Greece). Although maybe I should actually try to set myself a timeline and plot in advance because it took me a long time to write, learn about and then self-publish Girl Gone Greek. And it’s also taking me a long time to get into the groove of writing my follow up novel. Maybe if I had a deadline, this’d help me to discipline myself. The fact that it seems to excite others to want to come and experience another side to this wonderful country, with its aesthetic beauty and kind hearted people. Lovers of Greece had left me reviews and / or emailed me personally to thank me for what I’ve written and for showing the humane side. Greeks have thanked me for showing their country in a different light and for understanding their quirks. It excites me to feel I can offer this to my adopted countrymen: make a difference to the way people view Greece, at least to the small percentage of people who read and like my book enough to want to explore more. Girl Gone Greek is a humorous fictional, yet honest account of one woman’s experience in a small Greek village. The Greek people encountered every day in this country are enough to write a novel in itself! Drama is originally a Greek word – and there is enough drama in Greece to write many novels, even non-fiction! But the Greeks know how to survive, and with it, offer philotimo (not a word, but a concept, meaning offering friendship to strangers). I hope you’re encouraged to visit Greece and create your own Greek story. 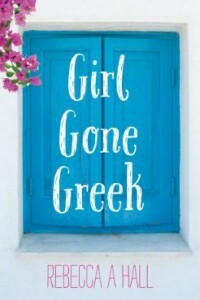 Girl Gone Greek is Rebecca Hall’s debut Contemporary Women’s Fiction Novel – available on Amazon. After extensive global travels, Rebecca left the UK to return to the country she fell in love with—Greece, where she teaches English, writes and wryly observes that the chaotic nature of her adopted country actually suits her personality very well. All travel experiences, & particularly living in versatile cultures, have helped to shape who she is today. She is a Rough Guide co-author (Greece & The Greek Islands and Portugal) and has contributed to numerous publications including Apollo Business Class Magazine for Cyprus Airways and Let’s Go for RyanAir, the Daily Telegraph Travel Section and her container ship voyage from Athens to Hong Kong caught the eye of NPR National Radio in the United States, where she was interviewed twice. 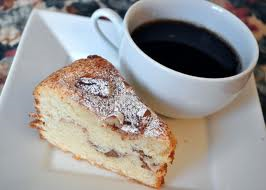 When not writing, you’ll usually find her drinking coffee with friends, or sourcing a new place to eat baklava. Many thanks Rebecca. Excellent interview. 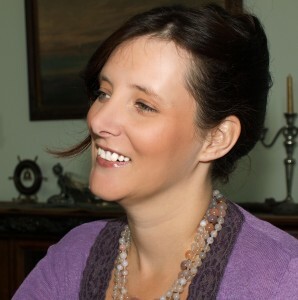 If you are in the South West, and want to meet Rebecca in person, she will be talking at this year’s Tiverton Literary Festival (8th-12th June)- details coming soon.